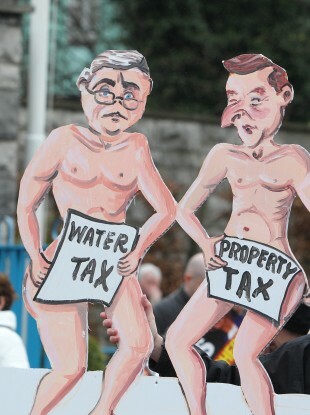 REVENUE HAS SENT 110,000 letters warning that their property tax will be deducted from their wages and pensions. The letters were sent in relation to outstanding household charge and property tax payments. Vivienne Dempsey of Revenue told RTÉ’s Morning Ireland that Revenue began writing to people who had not paid for 2013 or 2014 back in May. She said that it was an ongoing process and will continue. The letter warns those who haven’t paid that Revenue will begin instructing employers to begin taking the arrears from wages. “We’re writing to property owners in tranches. We have written to employers. We have written letters in relation to 50,000 household charge arrears cases. “We have instructed 40,000 employers to begin deductions from wages. She said that anyone who has already made a payment should contact Revenue to have their case updated. She added that those who are solely in receipt of social welfare may be eligible for a deferral, but not an exemption. Email “200,000 homeowners told property tax will be taken from their wages and pensions”. Feedback on “200,000 homeowners told property tax will be taken from their wages and pensions”.